There is no need for a green thumb or any extraordinary artistic ability to create a Fairy Garden!! 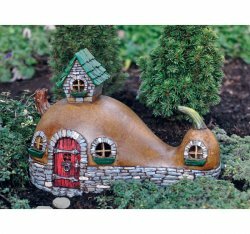 Start with a container to plant in or a spot in your landscape that you would like to add the wonderful world of fairy gardens and miniature landscapes. Containers can be as simple as a low pot, or basket with a liner, or more imaginative containers can be a wheelbarrow, crate or a birdbath. The important thing is that the container you choose has drainage. It is best to use a peat based potting soil. Choose plants that have small proportioned leaves and limited height. Add stone and pebbles to represent a pathway and maybe a pond. Fences to contain your garden and arbors and furniture for height. 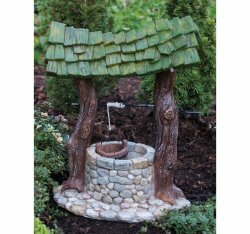 To ensure that your fairy garden isn't a lonely place, you may want to add some fairies, gnomes or small animals. A small container garden makes a great indoor centerpiece!! Have fun!